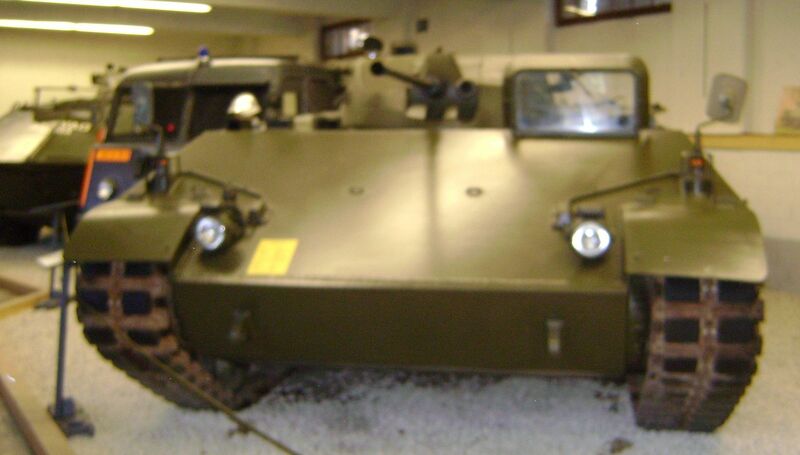 A Mowag Piranha IIIH APC. 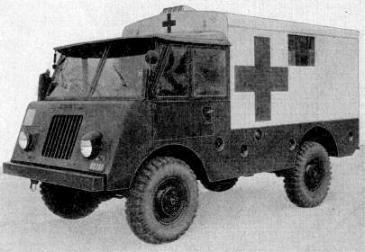 Mowag military signals carrier (radio truck) from 1957. 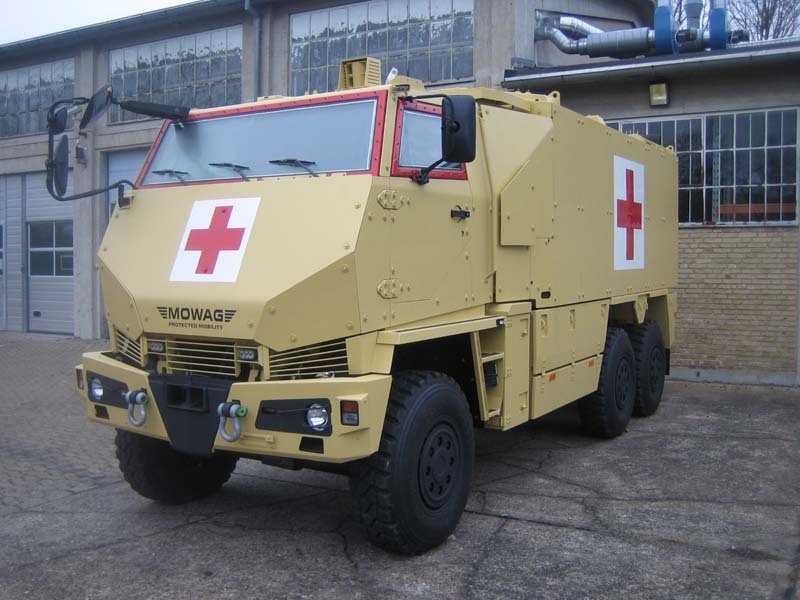 Mowag (sometimes MOWAG) is a Swiss company which develops, designs and produces armoured vehicles for military applications in both land-only and amphibious configurations. 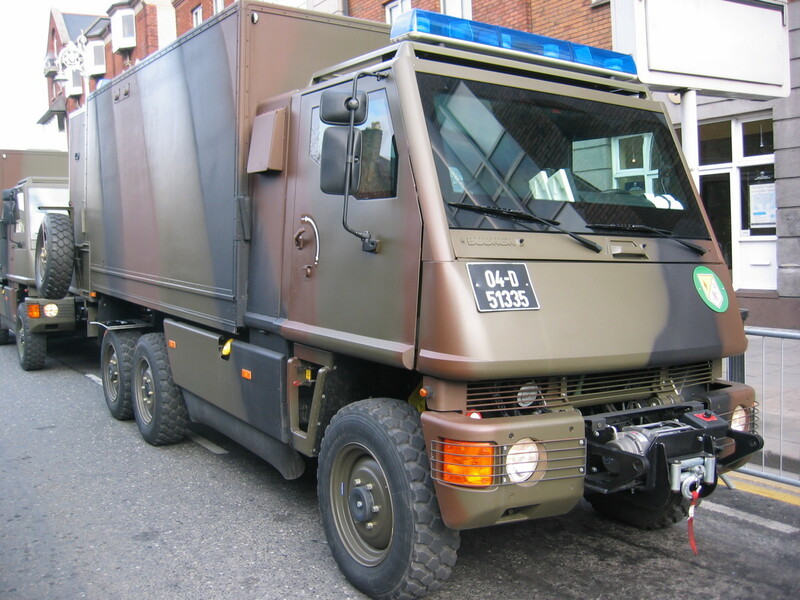 These vehicles have gross vehicle weights ranging from 9 t to 30 t. More than 12,000 armoured wheeled vehicles of the type Piranha, Eagle and DURO are in operation worldwide with a large number of armed forces. 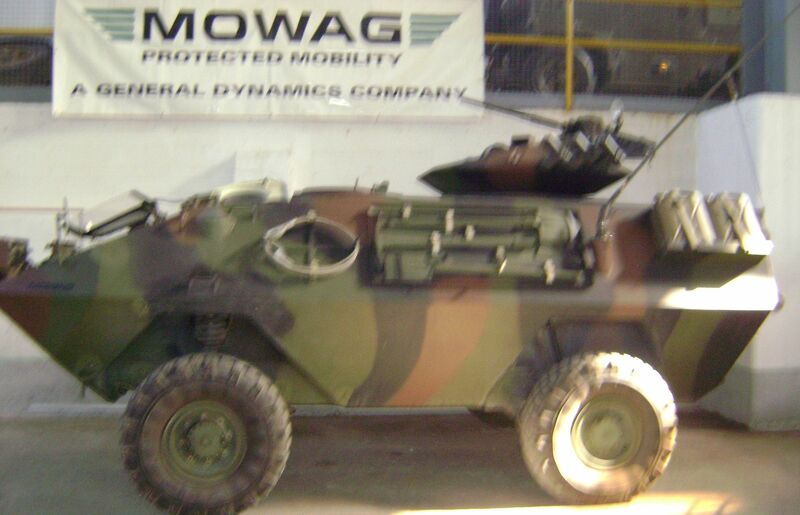 The company is owned by General Dynamics, and is currently known as General Dynamics European Land Systems – Mowag GmbH. 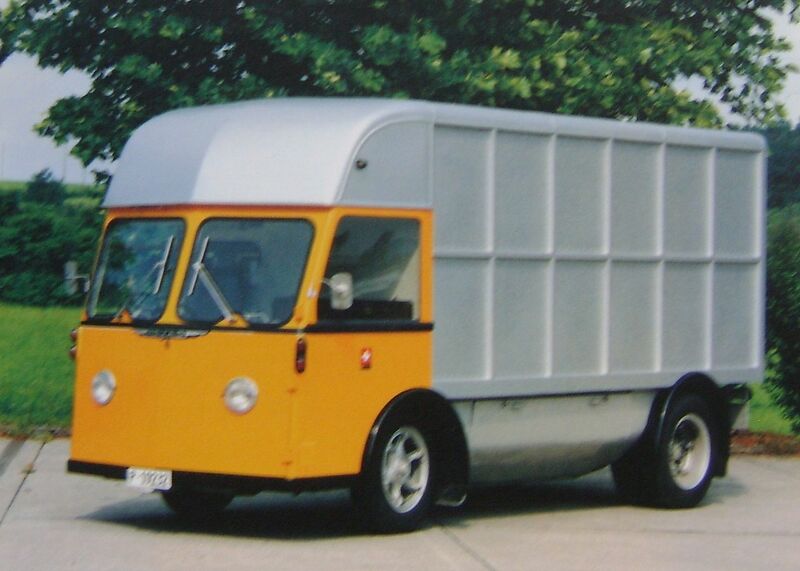 The MOWAG GmbH (Motor Car Factory), originally MOWAG Motorwagenfabrik AG, was founded in 1950 as a privately owned company by engineer Walter Ruf. 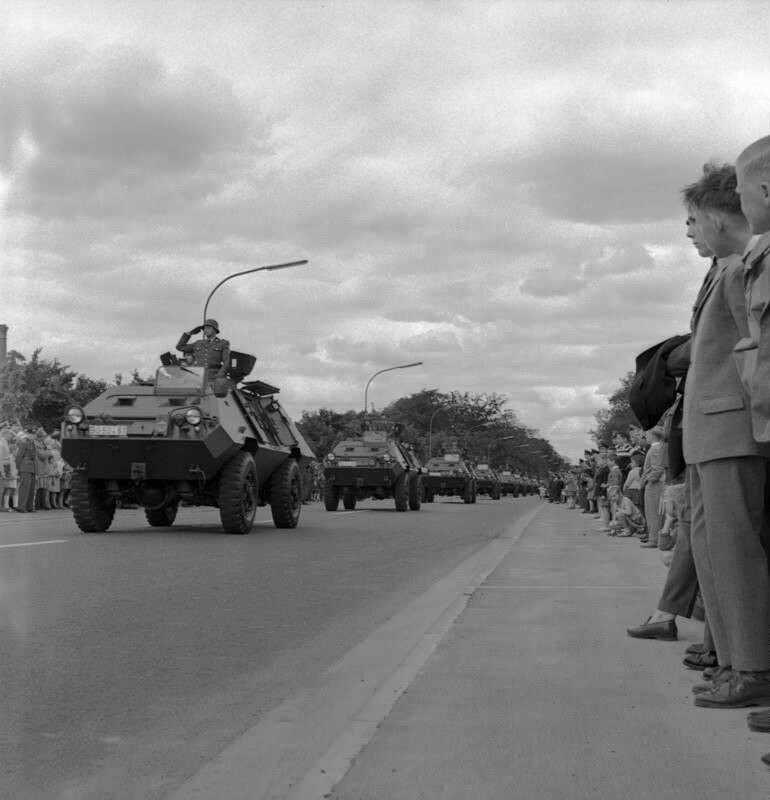 During the past 50 years Mowag has concentrated on the development and production of specialised vehicles. 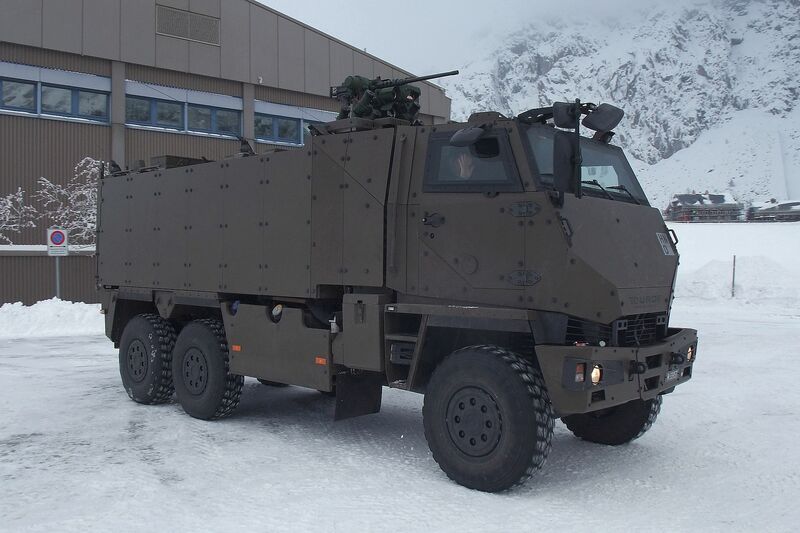 Its initial success was the development and production of more than 1600 troop carriers “Mowag T1 4×4” for the Swiss Army. 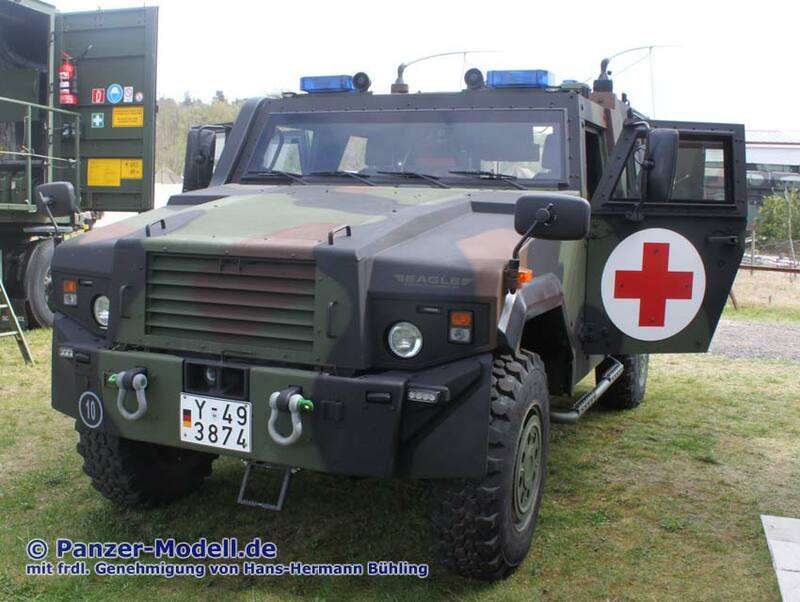 Contracts for Germany followed, with 750 Mowag MR 8 series armoured wheeled vehicles produced for the German Bundesgrenzschutz (Federal Border Guard) (also later used by Spain), and built under licence in Germany. 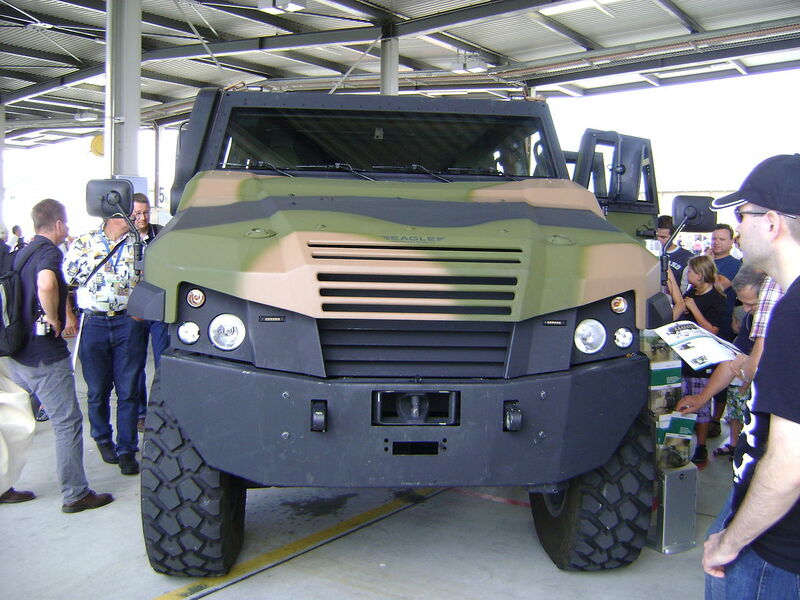 Further high-powered wheeled and tracked vehicle series were developed and manufactured for the world markets. 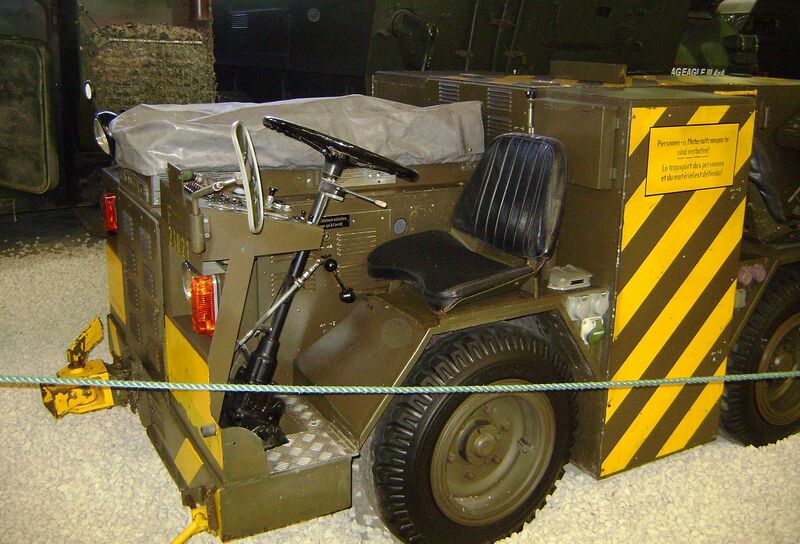 MOWAG has built many different types of vehicles, such as ambulances, fire trucks, dummy tanks, electric vehicles, scooters or tracked tanks. 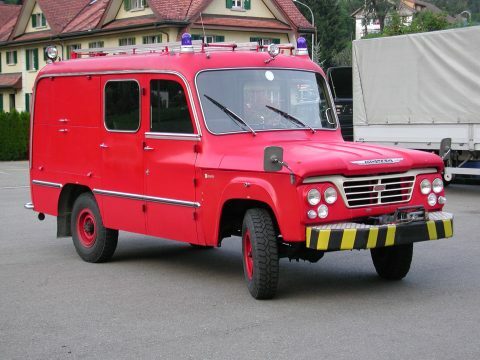 In the civilian sector, MOWAG has been particularly active in the construction of firefighting vehicles where several generations of emergency vehicles have been built on the Dodge pickups. 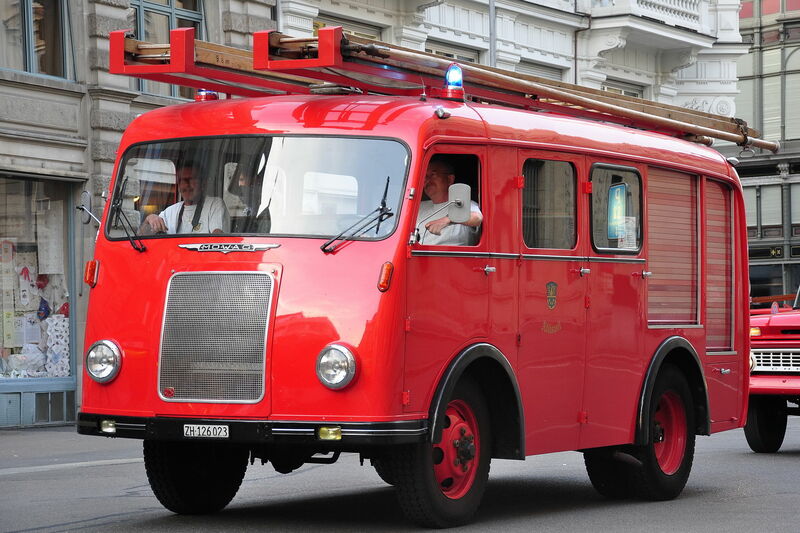 Many models were based on factory designed firefighting trucks. 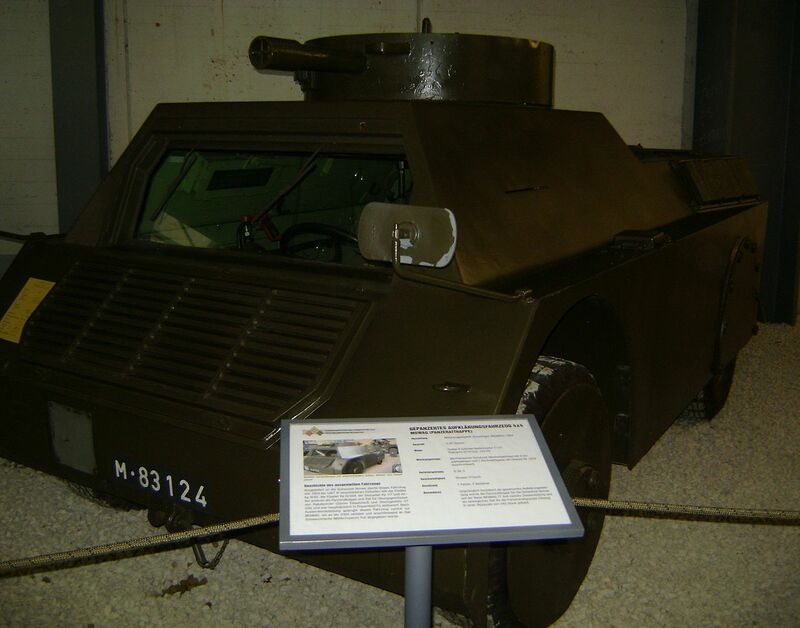 In Germany, Mowag was well known for developing a four-wheel drive armored car, that was built under licence from Thyssen and Bussing / Henschel. 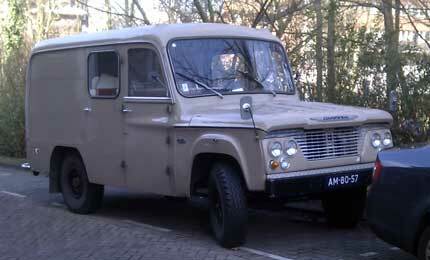 In 1963, vehicles for the Federal Border Guard (Bundesgrenzschutz = BGS), MOWAG’s production ran for decades. 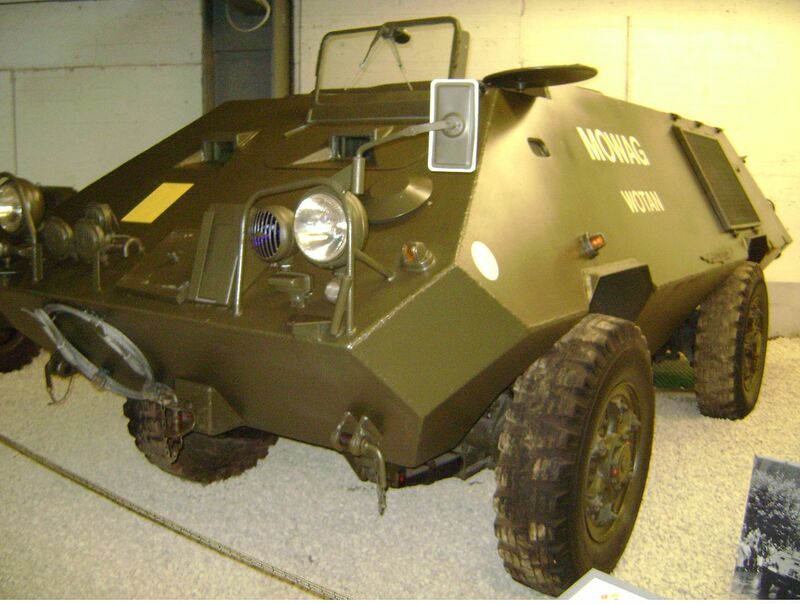 MOWAG had from the beginning to the end of the 1960s, built addition military vehicles and civilian trucks. 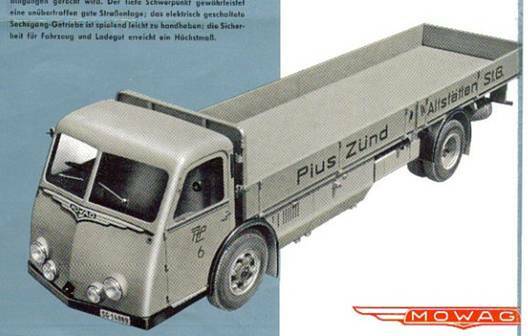 Among them were the heavy trucks, MOWAG M5-16F with four seats, front steering cabin and 16 tons total weight, tow hitch for a double axle trailer and a 200-horsepower engine in the underfloor. The engine was mounted under the bed between the front and the rear axles. This allowed a compact design and low center of gravity in the middle of the vehicle. 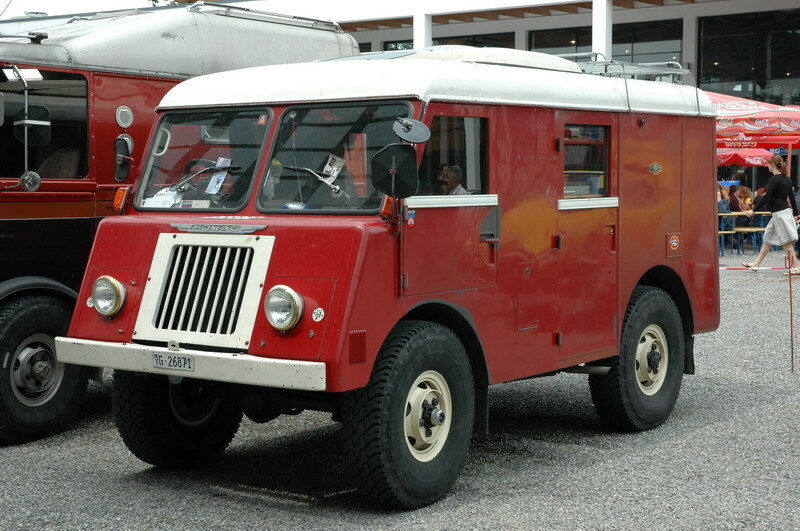 In 1950 MOWAG produced 214 local official cars for the Swiss Post, the chassis of this small compact vehicle had sliding doors on each side. 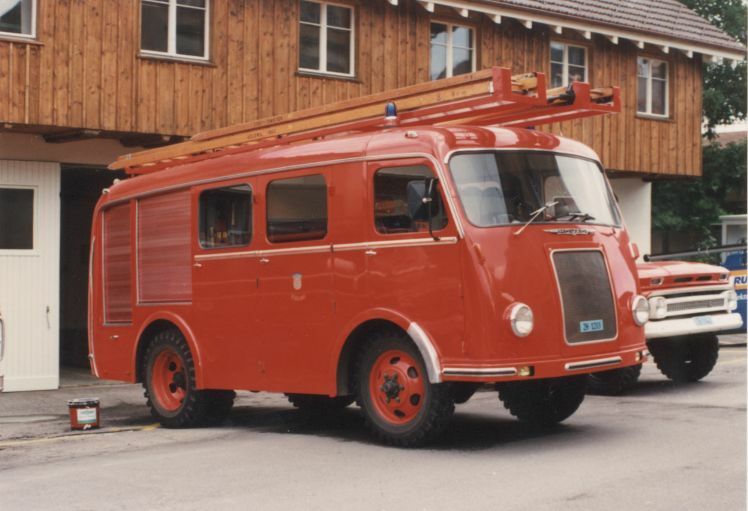 The truck for Swiss Post (PTT) MOWAG Einsatzfourgon of which 556 units were built from 1953 to 1988, had also an underfloor engine. 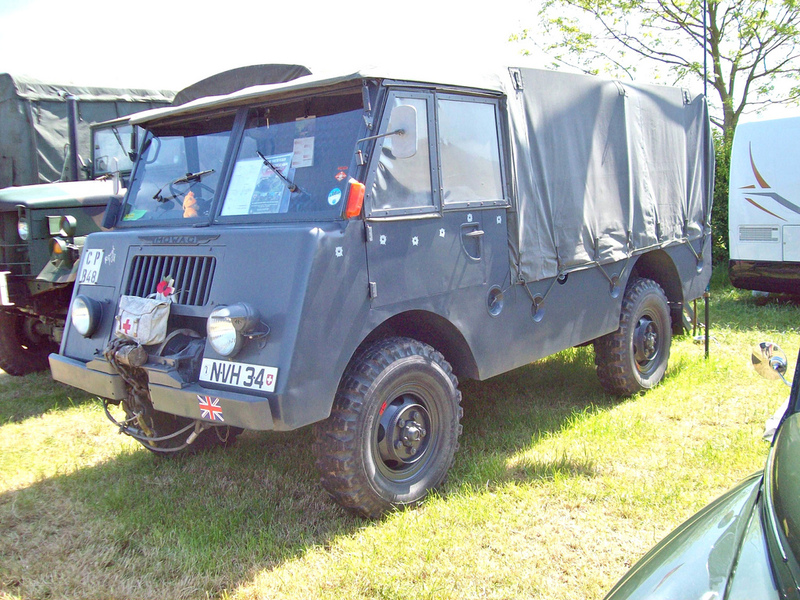 The Furgeon were initially fitted with a V8 petrol engine, which was originally developed for a MOWAG tank. Later, diesel engines were installed. 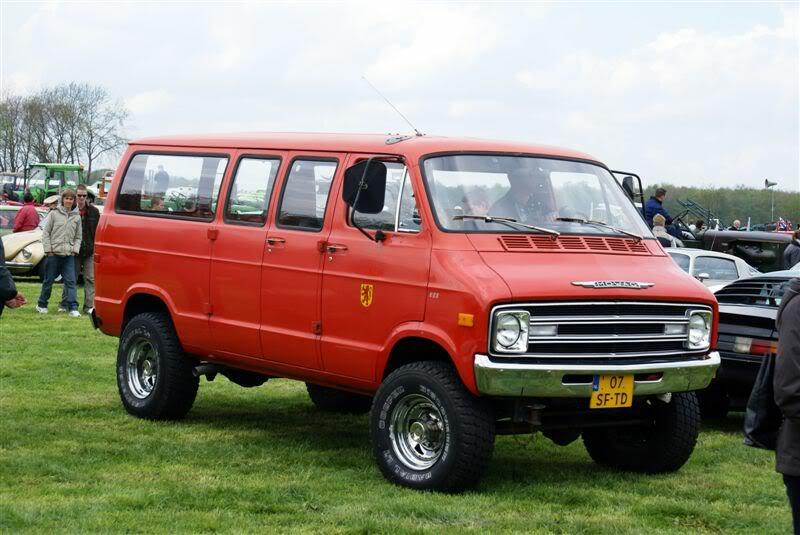 The yellow and silver vans had a door in the front of the vehicle on the passenger side, which made it possible to exit from the front if the trucks were parked very close together. On the driver’s side was a conventional door. It was possible to get from the cabin into the cargo hold. 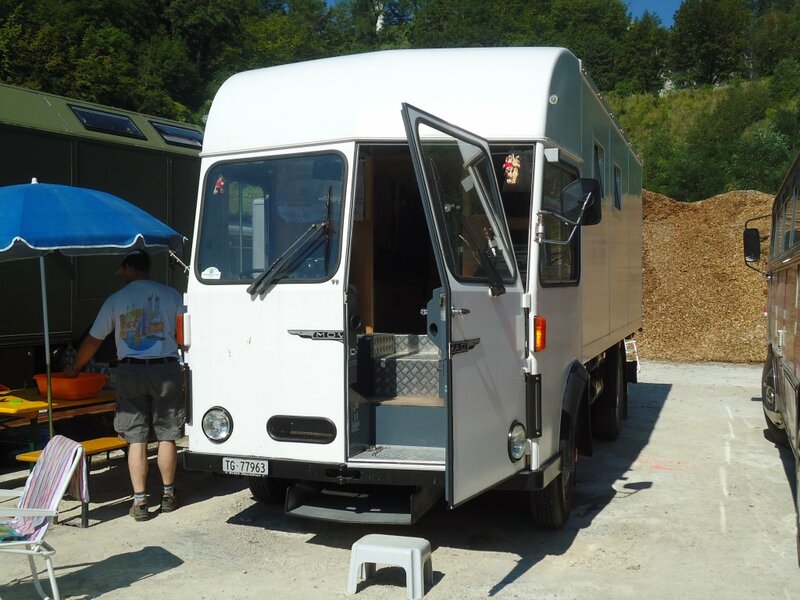 Taking advantage of this fact, some people rebuilt the decommissioned Furgeons into campers. 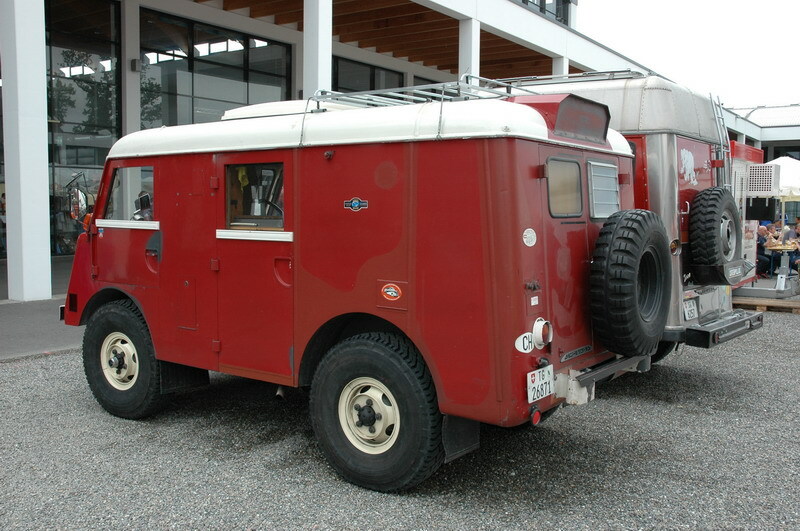 The Fugeons were equipped with a trailer hitch for 4 wheel trailers. 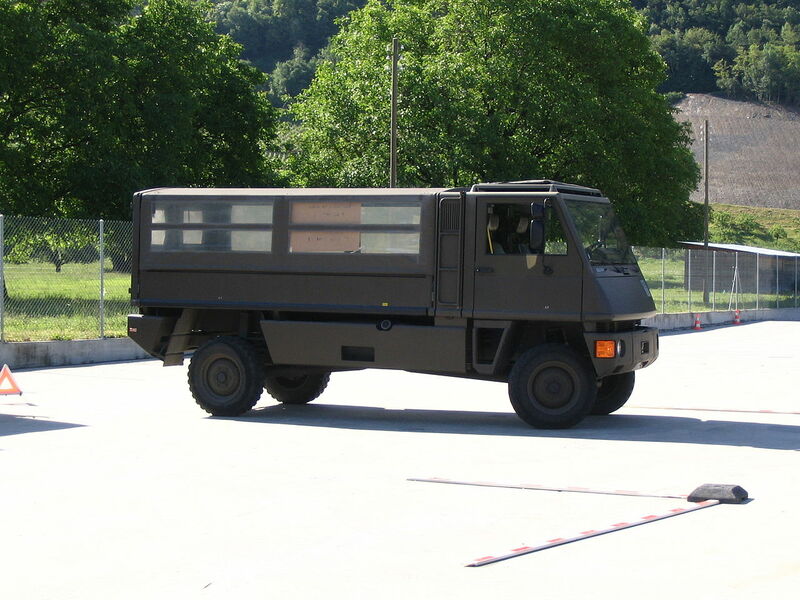 MOWAG had developed a replacement vehicle for the Furgeon, but it remained only a prototype as the Swiss Post bought foreign mass-produced series of vehicles. 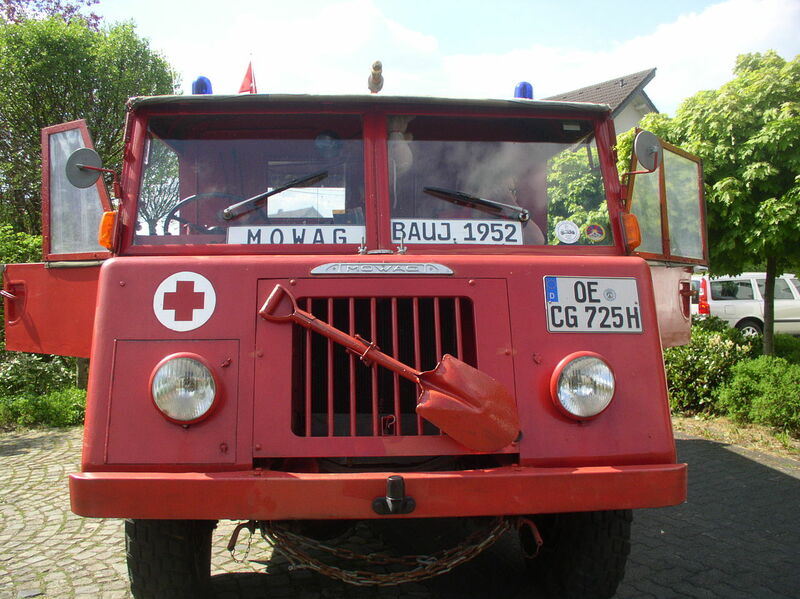 Besides regular trucks, MOWAG has built several generations of long iron transport trucks. 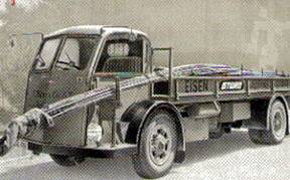 A 8×4-driven four-axle truck with M8TK diesel engine with eight cylinders, 10.8 liters and 500 HP and Allison automatic five-speed transmission, these are characterized by a very narrow central cab, with two seats. They were able to carry the load on the entire length of the vehicle using the space on the left and right side of the driver’s cabin. The drivers compartment had a front entering door. 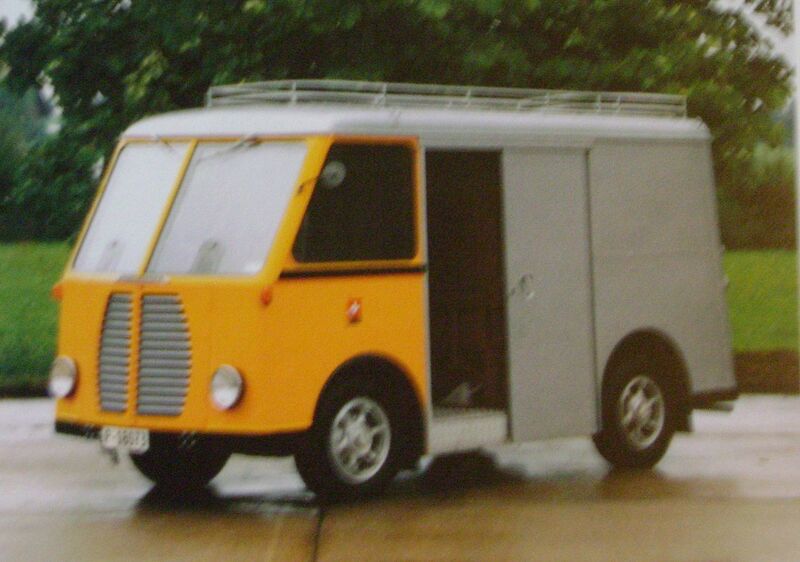 Between 1965 and 1975, MOWAG built 170 electric trollies for the Swiss Post. In the 1980s, the products range had been increased by the development and construction of three-wheel and four-wheel electric vehicles. The hospitals, airports, municipalities, industrial companies and the post office came for a variety of their transportation tasks. Many more prototypes of electric cars were built, but none of these vehicles made it to market. 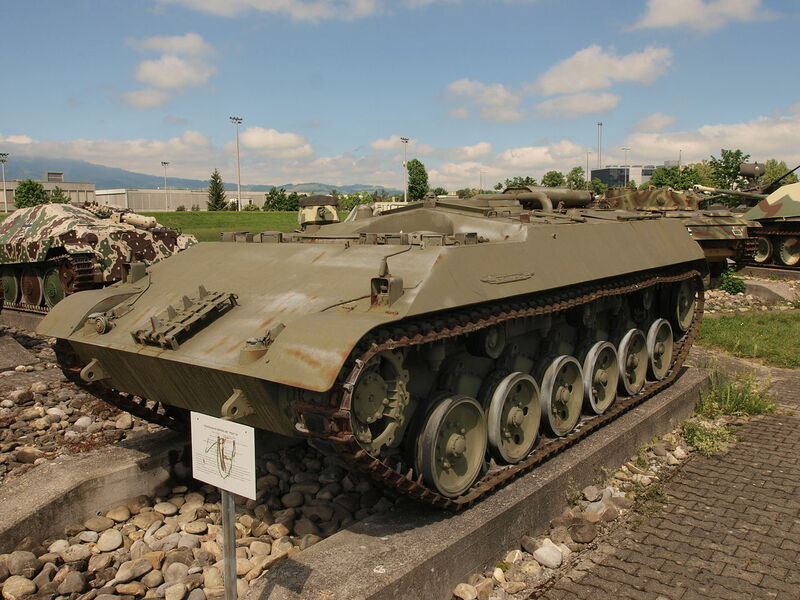 For the Mirage IIIS and RS fighter aircraft of the Swiss Air Force, MOWAG and AEG worked together and built the aircraft tractor MOWAG-AEG. 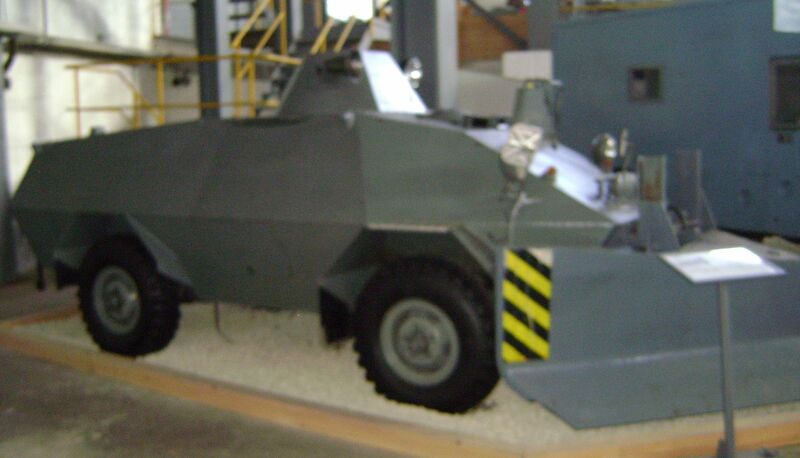 In the 1980s, MOWAG built vibratory rollers for road construction. 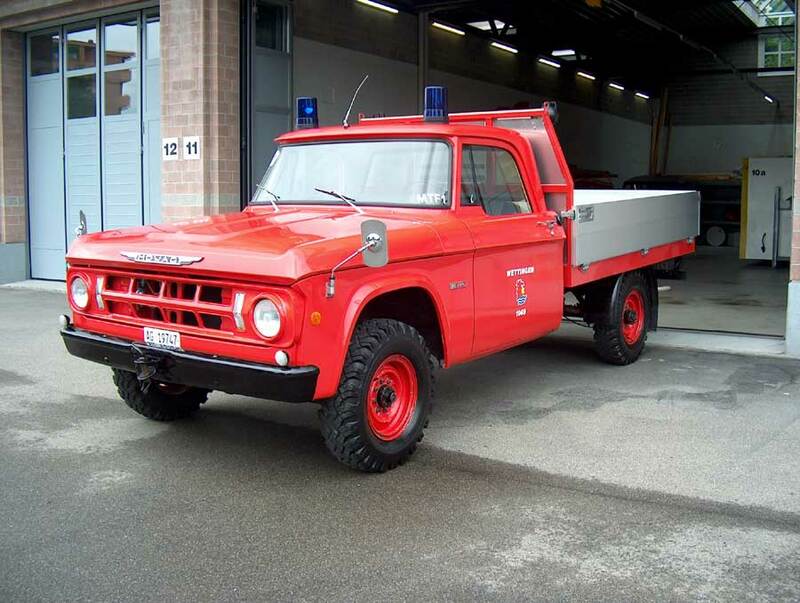 Handheld double vibratory rollers were from 900 kg to 1300 kg, tandem Vibratory rollers from 2000 kg to 3000 kg and 4 “wheeled” rollers from 4.5 t to 18 t. For several decades MOWAG was the sole importer to Switzerland of the Dodge Ram Wagon, these were converted to four-wheel drive fire brigade vehicles, and occasionally police vehicles and ambulances. 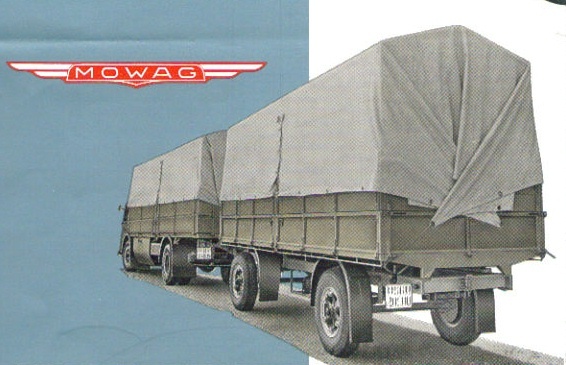 They were all given the MOWAG Insignia on the front. 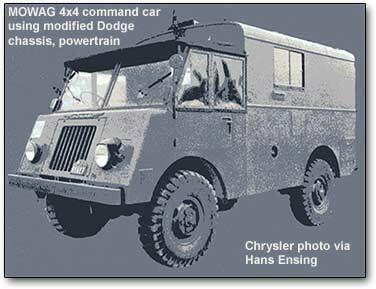 Private individuals were not allowed to purchase new vehicles, however MOWAG did sell spare parts to privately owned Dodge Ram Wagon’s. 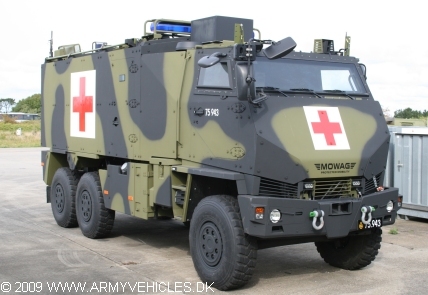 Lately, Mowag has been specializing in armored vehicles for military use, because it is financially more attractive. The main product today is the Piranha. 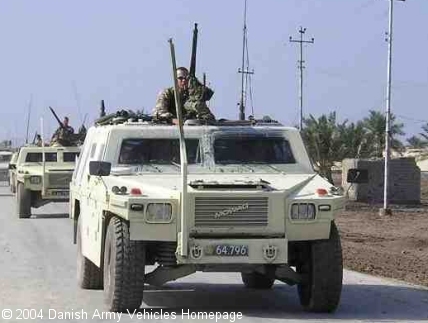 In addition, other armored vehicles are being produced based on the American Hummer / Mowag Eagle, and the Duro. 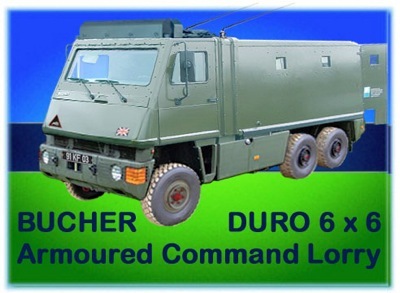 These vehicles comes from the acquired business of Bucher-Guyer. Also Mowag is responsible for spare parts for the Bucher aircraft tractor / aircraft tug‘s who are in use by the Swiss Air Force and JuAir. 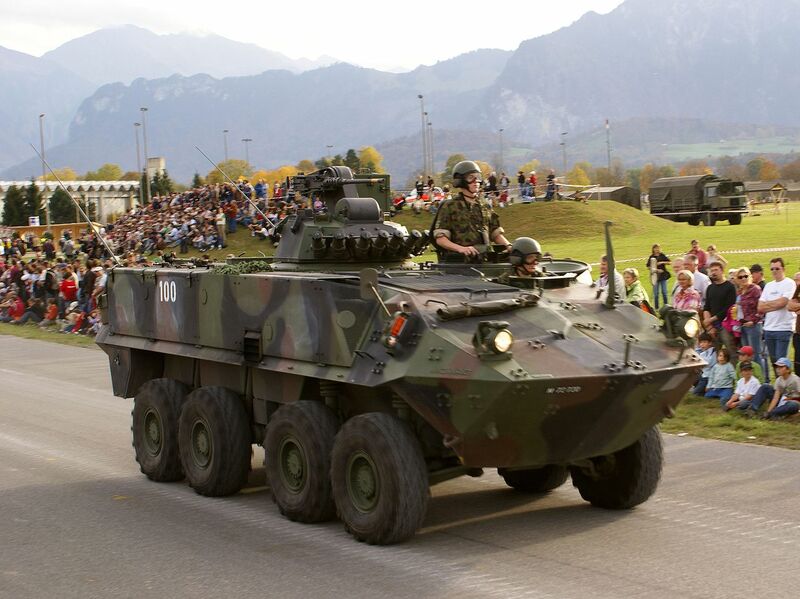 Since January 2004, Mowag has been a company within the General Dynamics European Land Systems group and at present employs around 750 highly skilled personnel at the facility in Kreuzlingen, Switzerland. 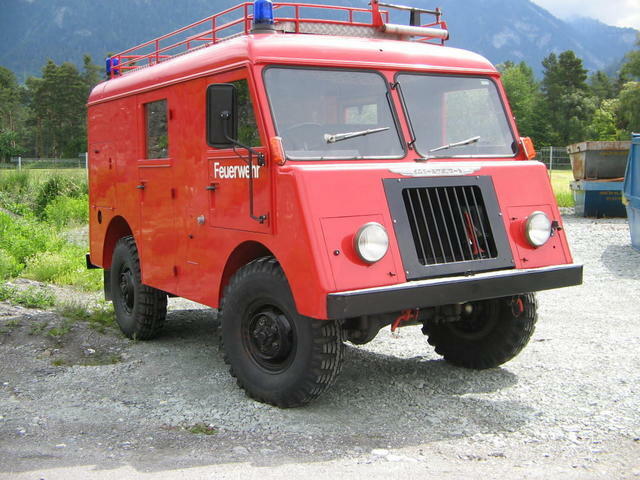 Mowag continues to operate as a Swiss company, and is organised and incorporated under Swiss law. 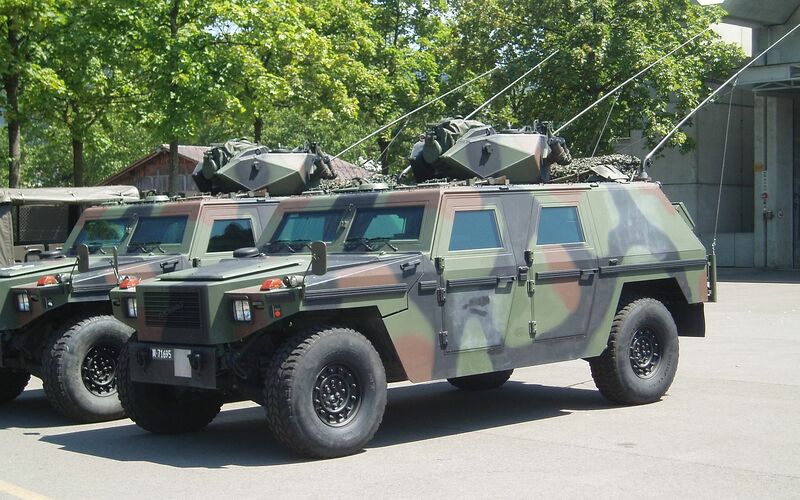 General Dynamics European Land Systems is part of General Dynamics Corporation (GD). 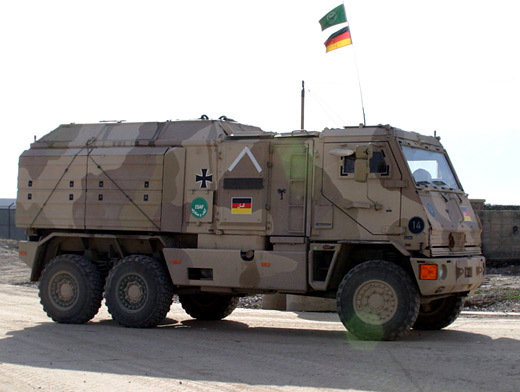 From 1 April 2010 the company is known as General Dynamics European Land Systems – Mowag GmbH. Mowag’s products are used with numerous forces, such as the US Army (Stryker), US Marine Corps (LAV-25), Canadian Army (LAV III), Swiss Army (APC 93 and Piranha TOW) and Chilean Army (Piraña 6×6 and Piraña 8×8), as well as in Australia, Monaco, New Zealand, Sweden, Belgium, Denmark, Ireland, Great Britain, Germany, Spain, Malaysia and some countries in the Middle East, Africa and South America. 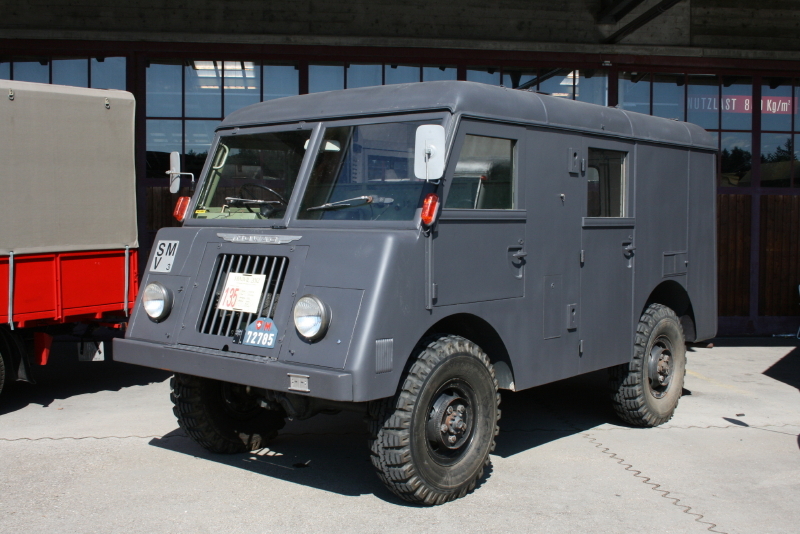 In addition to production in Kreuzlingen (Switzerland), London, (Ontario, Canada), and the USA, Mowag vehicles are also built under licence by companies in other countries. Piranha, Eagle and DURO vehicles are successfully deployed in numerous operations around the world and are combat proven in a wide range of missions, terrains and climatic conditions. 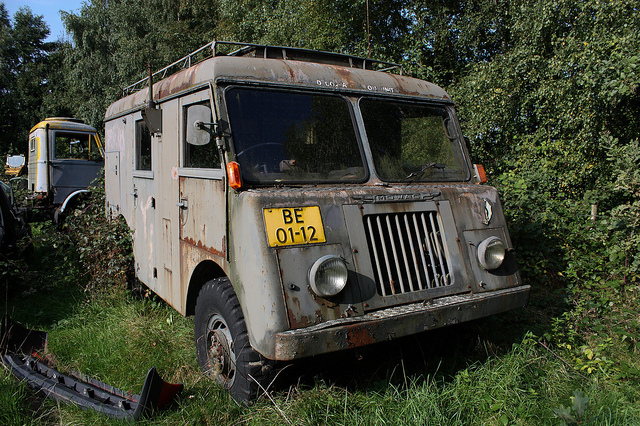 Service life extension and re-role programmes for Piranha vehicles, some fielded as early as the seventies (e.g. to the US Marine Corps, Canadian and Swiss Forces), are currently under way, which will allow to extend the service life by many years. The Mowag Piranha is a family of armored, multi-role wheeled vehicles that are designed to be adapted to different threat scenarios, while still retaining a high level of protection, mobility, and internal volume. 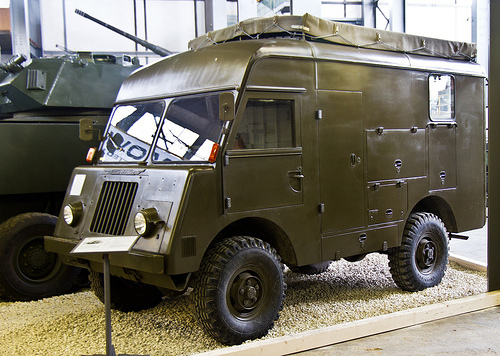 Since the Piranha 4×4, 6×6, 8×8 and 10×10 family of armoured wheeled vehicles was conceived in the seventies, over 6500 vehicles have been produced and are today in operation. 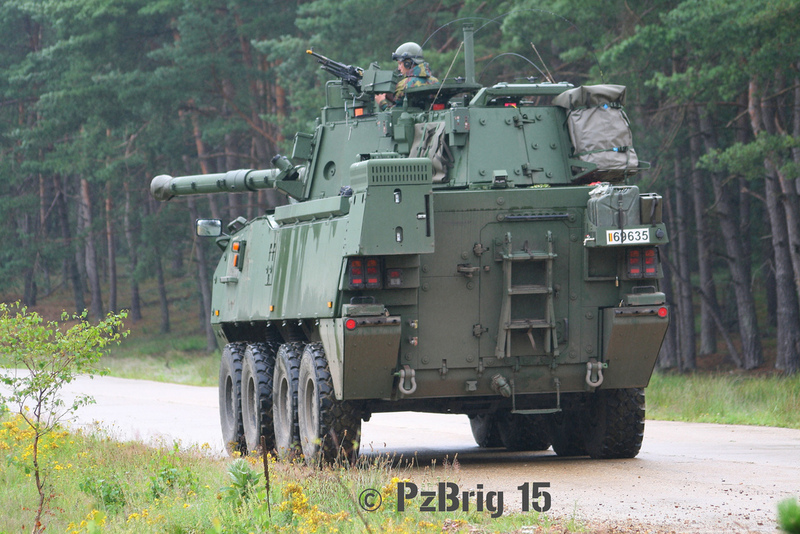 A further 1700 Piranha vehicles are now selected, on order and under production in Canada, the USA and Switzerland. The baseline vehicle, the new generation of the Piranha III, enables numerous applications and/or weapon system installations as expected of a modern multi-role vehicle, which is well suited to any battlefield or peace-keeping/peace-enforcing mission anywhere in the world. The Piranha IV 8×8 offers again higher payloads, modular ballistic protection, superior mine protection, and provides increased mobility with its height-adjustable hydro-pneumatic suspension system. 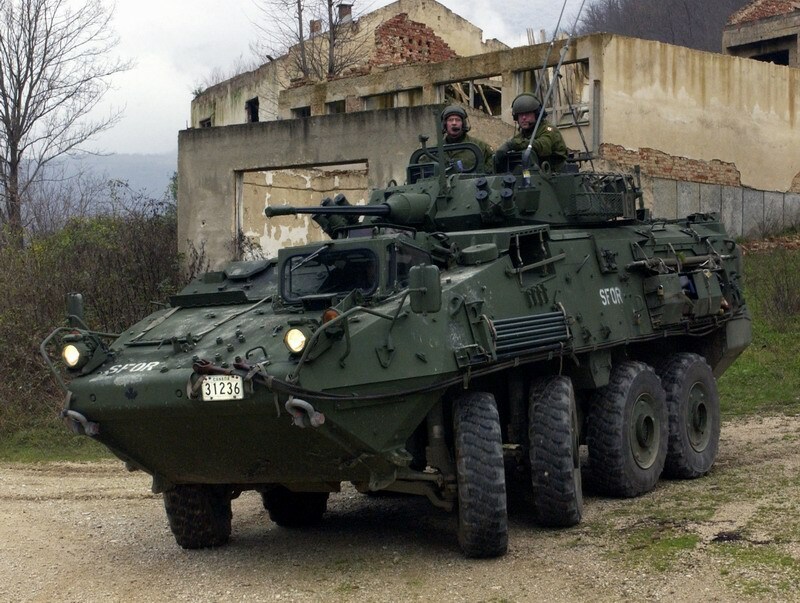 Canadian LAV III, which in turn is based on the Mowag Piranha IIIH 8×8. A new version of the Piranha 5 was released at EUROSATORY 2010. 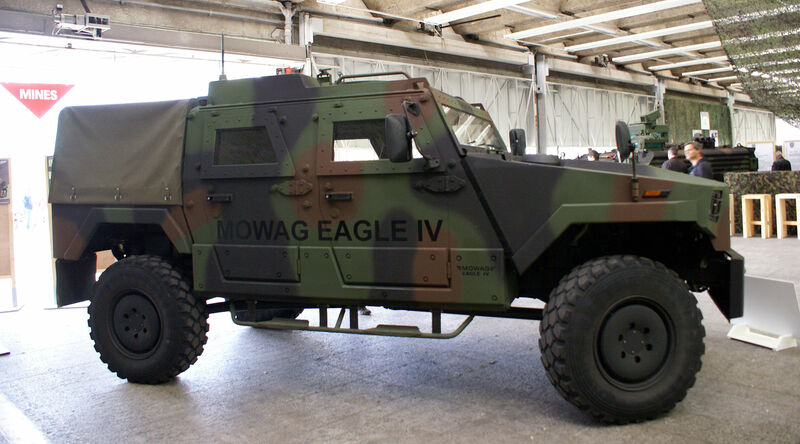 The Mowag Eagle is a well-protected, light tactical vehicle similar to the American HMMWV. It is designed to fulfill roles such as command, reconnaissance, logistics, and military police. 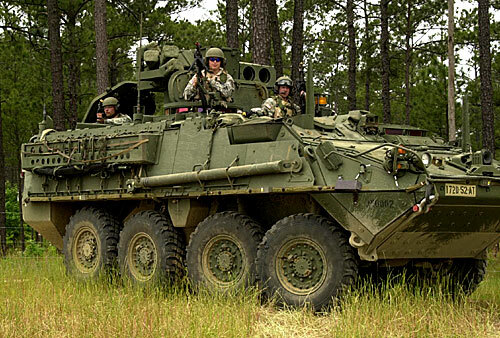 It can have seating for up to six soldiers while still retaining an in-depth communications system and equipment to fit mission requirements. A total of 365 Eagle 4×4 reconnaissance vehicles and 120 Eagle 4×4 artillery forward observation vehicles have been built in the past eight years and are in service with the Swiss and Danish Forces. 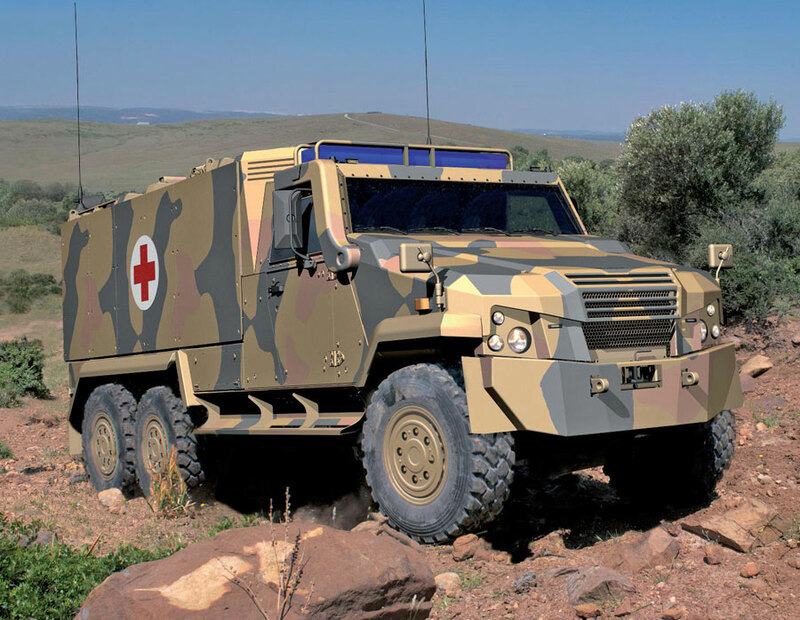 The newly developed Eagle IV, based on the DURO, is suitable for reconnaissance, communications and observation, as well as for UN missions and border patrol. The Mowag development on the basis of the proven DURO chassis is distinguished through a very high payload versus a low gross vehicle weight (GVW), with a high ballistic and mine protection level as well as exceptional mobility both on and off-road. Due to the commonality with the DURO family of vehicles, the maintenance and training costs can be kept low in a fleet mission. A new version of the Eagle was launched by General Dynamics European Land Systems – Mowag GmbH at EUROSATORY 2010 on 14 June 2010. 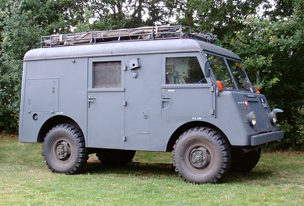 The Mowag Duro is a highly mobile, off-road tactical transport vehicle based on the DURO family of vehicles. DURO stands for DUrable and RObust. 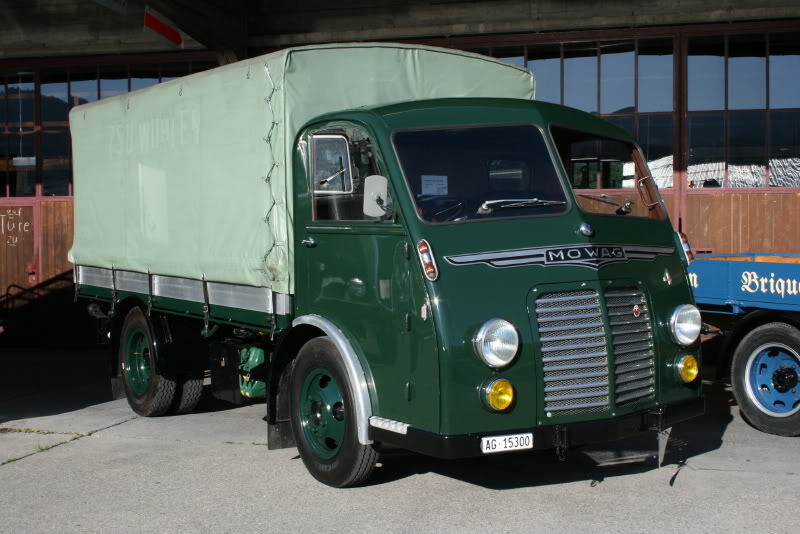 Initially developed for Switzerland by Bucher-Guyer AG in Niederweningen, Switzerland, who started production of all-wheel-drive trucks in 1976. 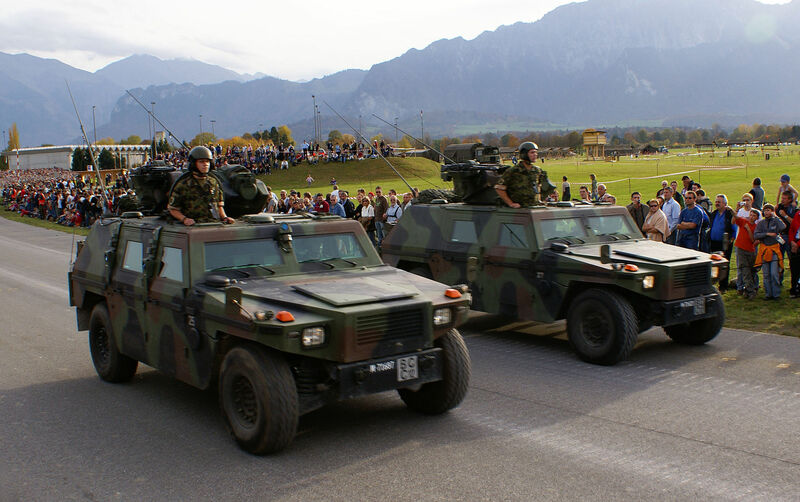 An initial 3,000 vehicles order for the Swiss Armed Forces came through in 1994. 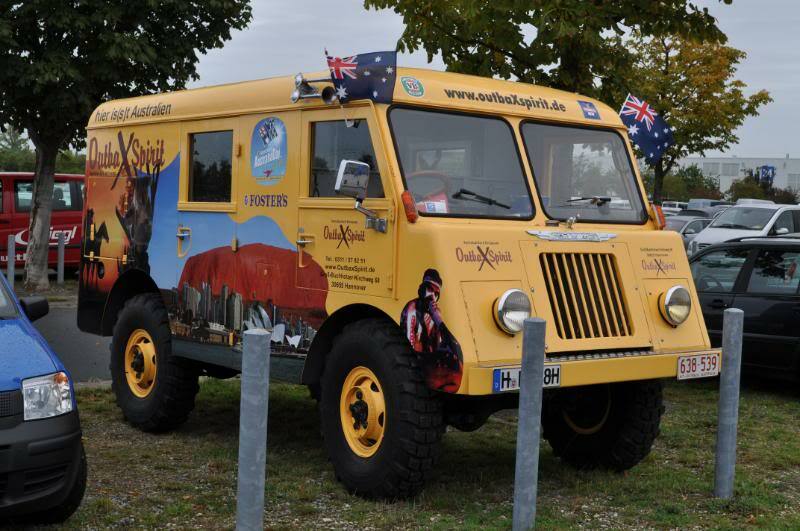 Over 4,000 DURO 4×4 and 6×6 vehicles are now in service worldwide. Main customers are Switzerland, Germany, Venezuela, Great Britain, and Malaysia. 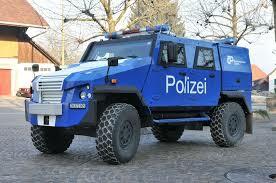 In addition to these, the vehicle is used in many other countries for special purposes. The latest versions are the DURO II and DURO III. 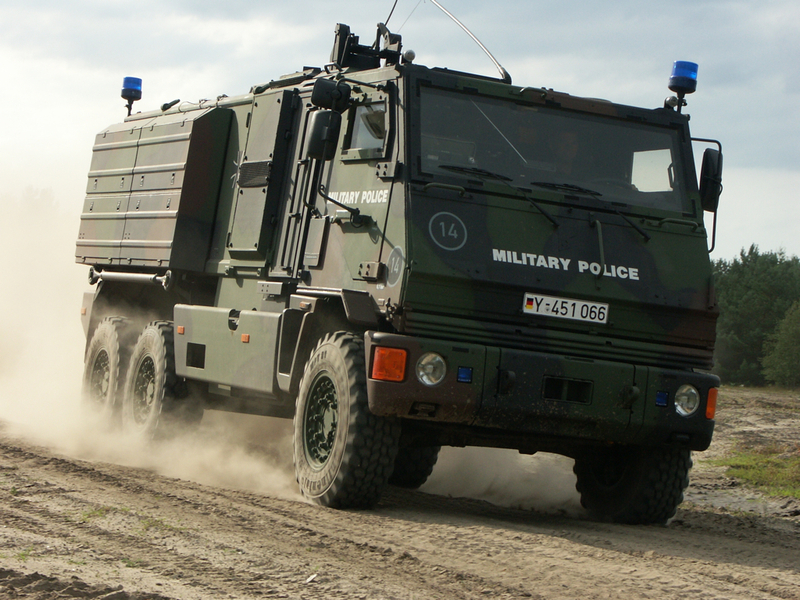 Germany has ordered the DURO IIIP 6×6 ballistic and mine protected version. 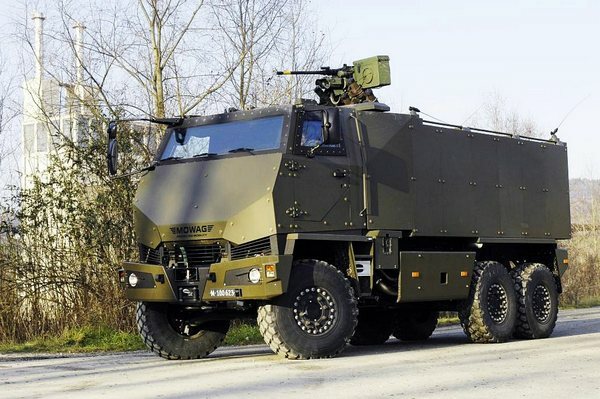 The Yak is an armored and mine-protected transport vehicle produced by the German company Rheinmetall Landsysteme AG based on the DURO IIIP chassis. 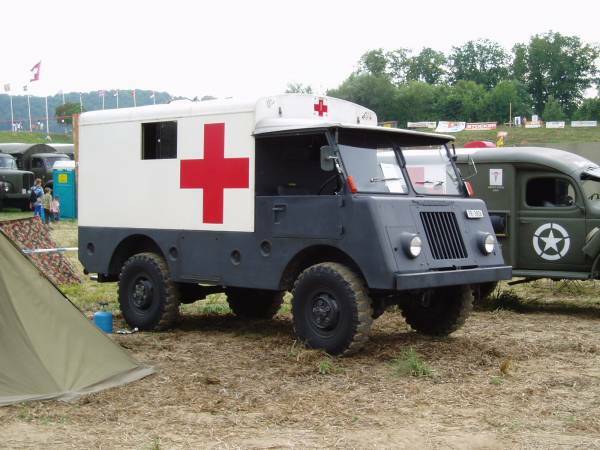 The German Army uses the Yak for its military police, EODteams, and as mobile armoured ambulance. 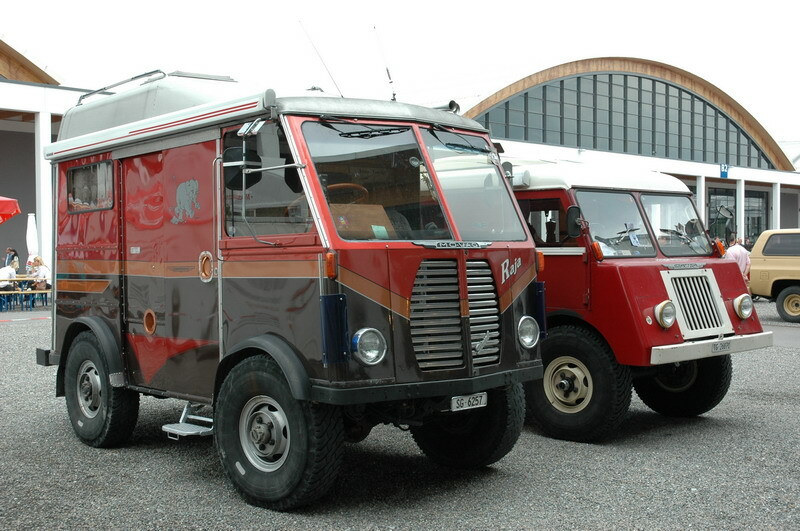 From the beginning Mowag produced both armoured and unarmoured vehicles, to include motorcycles and fire appliances. 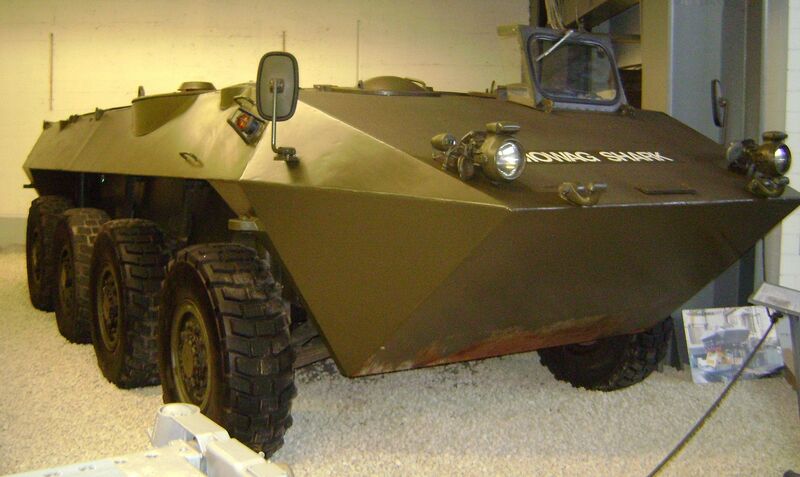 Mowag MR 8 – 4×4 wheeled armored personnel carrier. 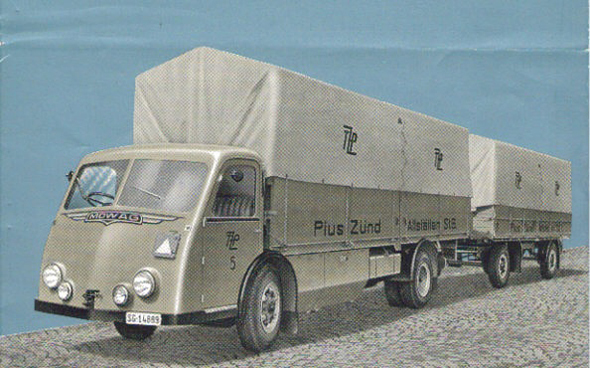 About 600 built for German Bundesgrenzschutz from 1959. 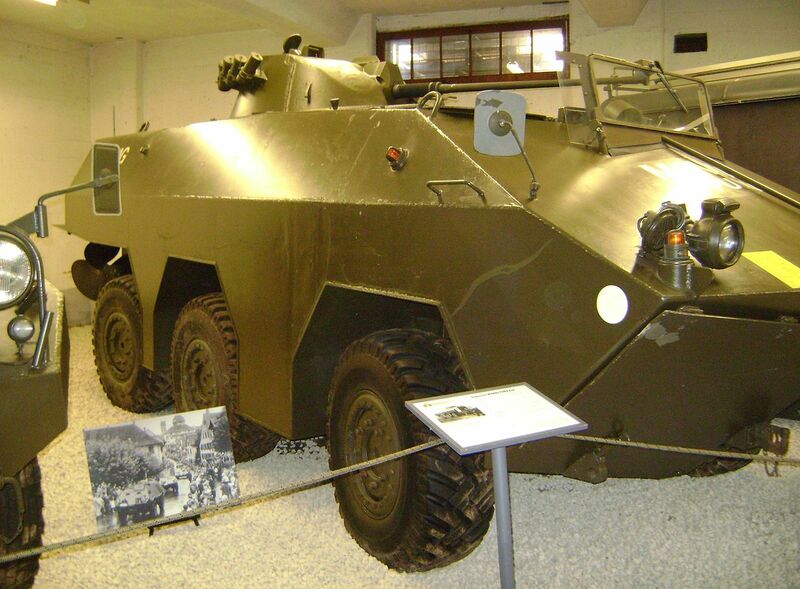 Mowag Grenadier – 4×4 wheeled armored personnel carrier. 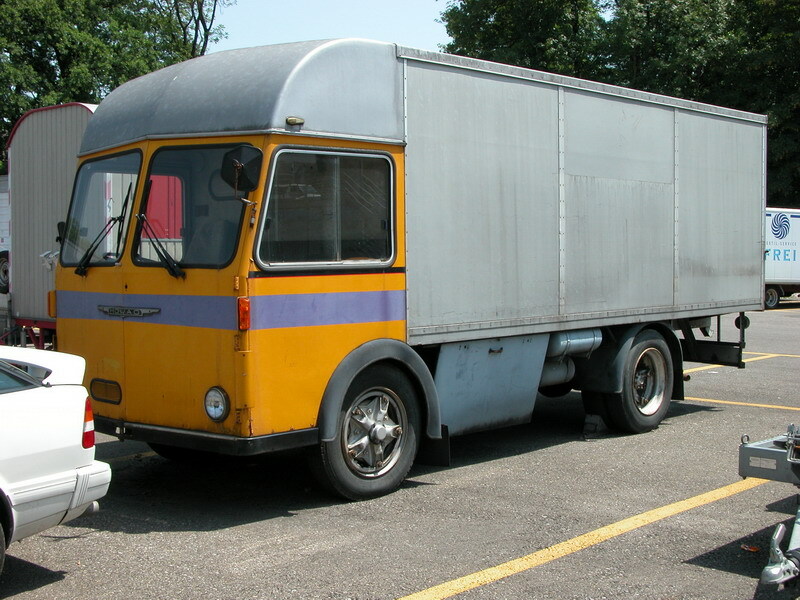 In production from 1967. 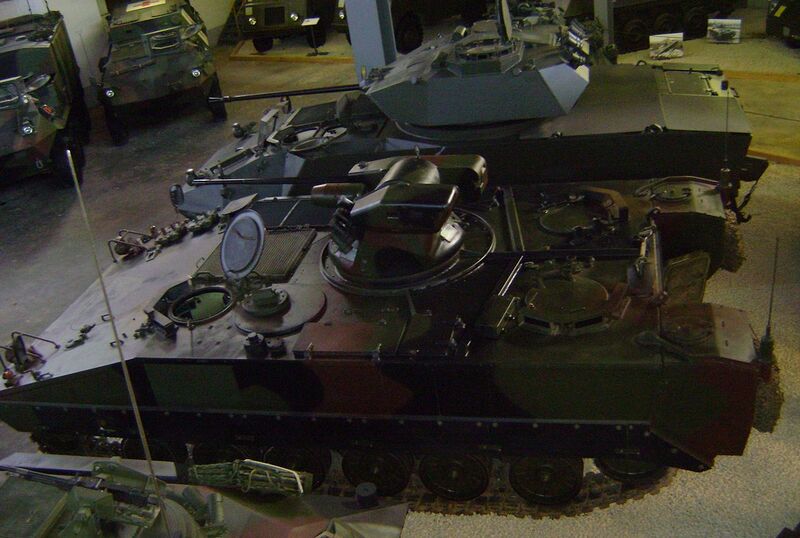 Mowag Roland – 4×4 small wheeled armored personnel carrier. In production from 1964. 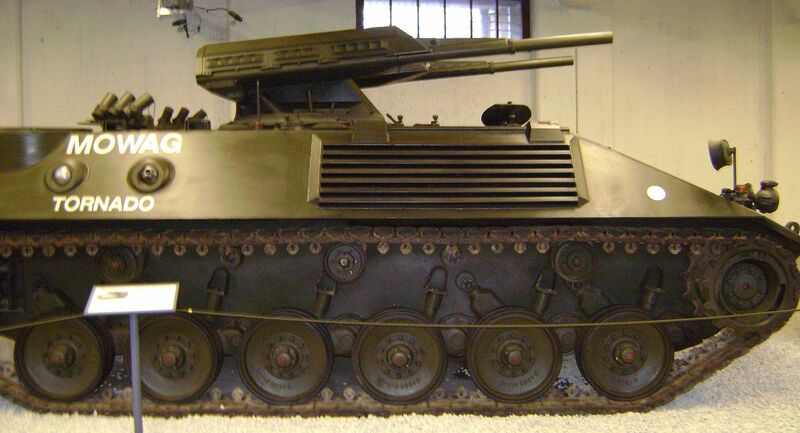 Mowag Shark wheeled combat vehicle. 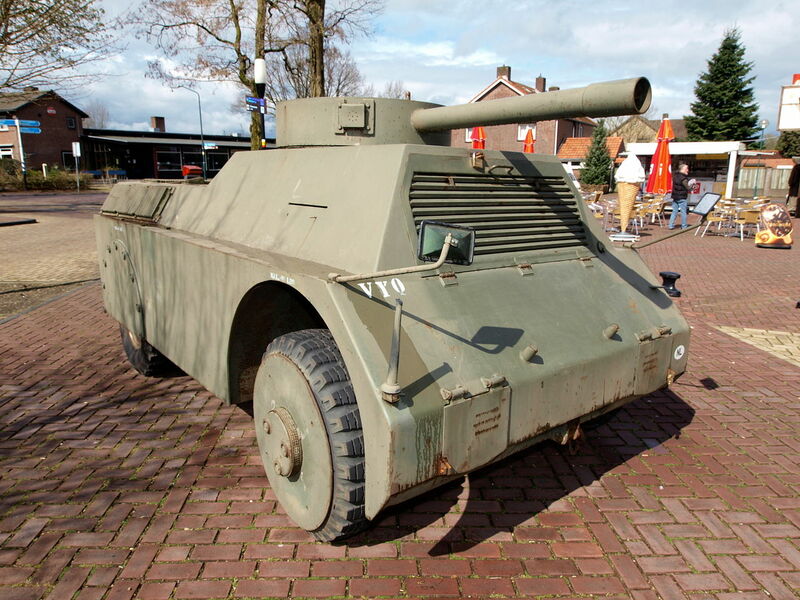 8×8 wheeled armored weapons carrier designed to carry a number of gun or missile armaments. 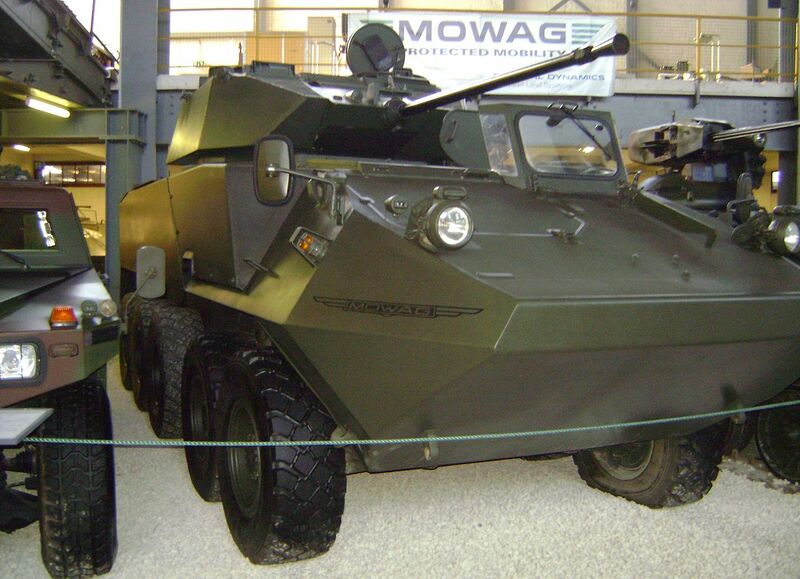 Mowag Spy – 4×4 wheeled light reconnaissance vehicle. Ordered into production in 1982. 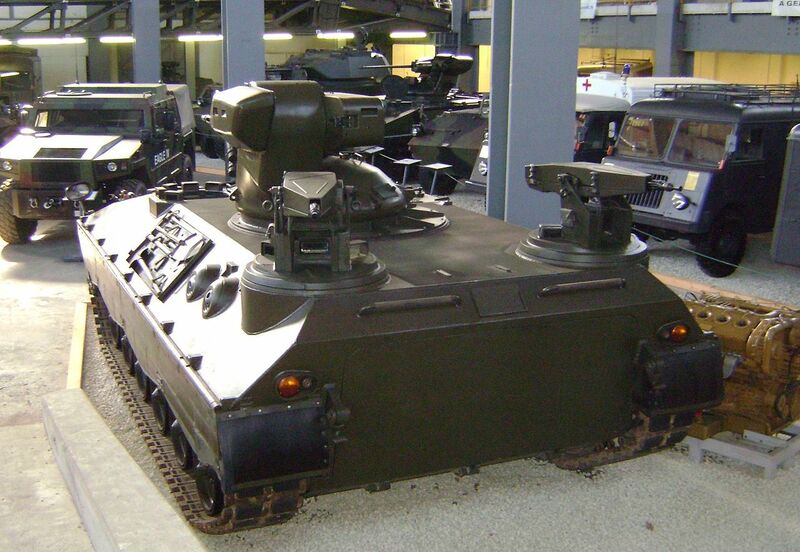 Mowag Tornado infantry fighting vehicle – Tracked Infantry fighting vehicle.